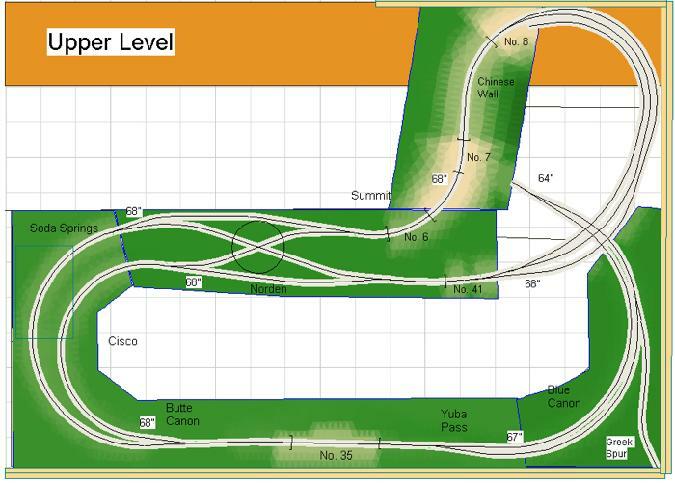 I am still working on the benchwork for the staging level of Donner Summit. 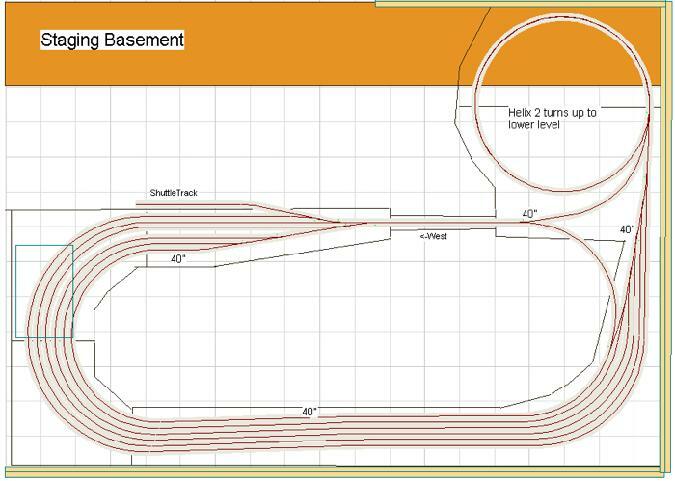 Its given me some time to think about the plans and I realized there were some things I wanted to change about the track plan. Single-track the mainline by removing the double track in the helices, the area below Colfax, and in the Yuba Pass area. 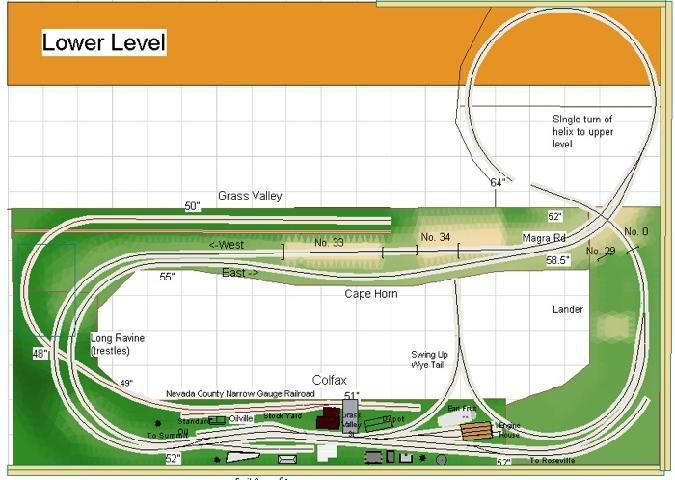 This will make mainline operations more interesting as trains will have to get clearance to pass through these areas. It also simplifies the crossover problem. I don't really have room to do proper crossovers. Added a wye at Colfax like the prototype used. The tail of the wye has to go into the aisle to get enough room, so the wye will be on a fold-down extension across the aisle. This will allow turning the helpers. Added a cutoff on the staging level so that trains can be turned around to operate in the opposite direction. It also gives me a place to run trains in a continuous loop for breaking in/testing engines.